The Place There’s finally an exciting concept in The Paragon, a mall which I haven’t gone back for awhile. 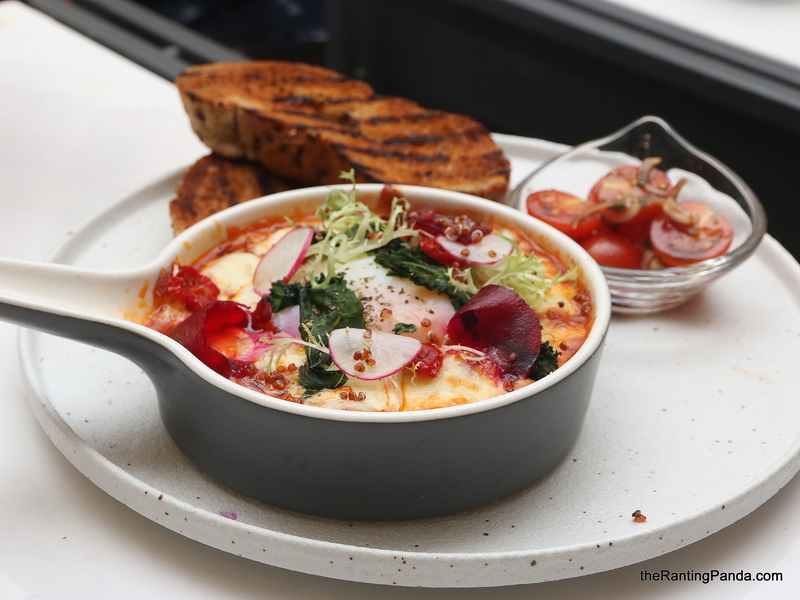 By the team behind Birds of A Feather, Halcyon & Crane is a brand new cafe concept at level three of the mall in Orchard Road. The name of the restaurant is inspired by two birds of legend. Halcyon takes reference from the Greek mythlogy, while the crane is a symbol of peace and longevity in Chinese tradition. The theme of West and East runs through the concept here, which I find it quite appropriate as the metaphor of birds in the name links back to its sister restaurant Birds of A Feather nicely. The concept is Modern European style cafe Sichuanese flavours in their dishes, with a cosy and open concept space. The Food The menu focuses on cafe-style food, though I am impressed with the beautiful plating of the dishes in general which carry a different type of sophistication with it. Despite the prime location in Orchard Road, some of the prices of the dishes are in fact on a par with those in neighbourhood cafes. The Ham & Cheesy Egg Crepe (S$19) is lovely, a tribute to Shanghai pancake wraps, one of the dishes available all day. The crepe is wrapped with various vegetables, while the accompanying Dou ban Jiang and Lao Gan Ma sauce is very spicy, but good nonetheless. The Sichuan flavour here comes from the Sichuan-style sausage, which spots a mild spicy note. Another all day dish is the Cured Sausage Shakshuka (S$20), one of the dishes which left an impression on me. The Sichuan sausage here lends the dish the spice with its spicy and mala pork stuffing. There are also other ingredients like mushroom, corn, white bean, parmesan cheese with the tomato stew, topped with sous vide egg. Have it along with the crispy and delicious garlic butter toast! For the King’s Chicken Hash Benedict (S$21), you get English muffins topped with gong bao chicken, sous-vide egg and Cheddar cheese. I love the crispy leek on the eggs, which adds that nice crunchy texture to the dish. If you are up for something light, the Smoked Tuna Tataki Salad (S$21) here uses Japanese maguro, tossed in a mix of spicy red oil vinaigerette and citrus dressing. The flavours are refreshing as compared to the other dishes, with an evident showcase of the spicy flavour profile. For a less spicy dish to go for if your palate is not up for it, try the Chicken & Mushroom Capellini (S$23). This nourishing dish is a mix of chicken and bamboo mushrooms, along with vermicelli noodles imported from Sichuan. The taste feels like the familiar mee sua soup I am fond of, expect that there are still mild hints of spiciness from the green chilli. Another comforting dish on the menu is the Specialty Beef & Tomato Braised Rice (S$28). In comparison to the Chicken & Mushroom Capellini, I am surprised I prefer this dish to the vermicelli as I find it more flavourful, yet comforting at the same time. The broth is very rich, a mix of Angus brisket, spices and herbs prepared over 16 hours. The grains here also lean towards the healthy spectrum, with a combination of kamut, buckwheat and barley grains. For a more substantial dish, the first thing I noticed about the Beetroot & Seafood Risotto (S$32) is its vibrant pink hue. This dish is prepared with Japanese pearl rice, with very mild hints of spiciness from the pickled chilli. I enjoyed the scallops along with the risotto. Comparatively, I find the Baby Chicken Roulade (S$32) less of a highlight compared to the other dishes. That said, it is still a good rendition of local spring chicken marinated with honey fish sauce, five-spice powder and Sichuan pepper. A noteworthy mention other than the chicken is the delicious braised daikon, prepared with over 20 ingredients including pork bone and pork fat. For dessert, the Molten Matcha Lava (S$16) concludes the meal well. While I have tried similar dessert at other cafes, this rendition is a decent one for sharing as it is not too sweet. It is also served with cheese ice cream, which is a nice contrast to the strong matcha flavour. If you are up for some drinks, there is a good list of cocktails and teas. Go for the Crazy Rich Asian (S$26), a blend of kaya and pineapple rum. Rants The dining space is pretty open, so it is not the ideal spot if you are up for some secret rendezvous. Will I Return Again? With its positioning as a cafe, the quality of food at Halcyon & Crane is relatively good. Moreover, the prices are fairly reasonable for its location. I can already see myself coming back for some of the dishes I didn’t manage to try this time. Make your reservation instantly at Halcyon & Crane here.